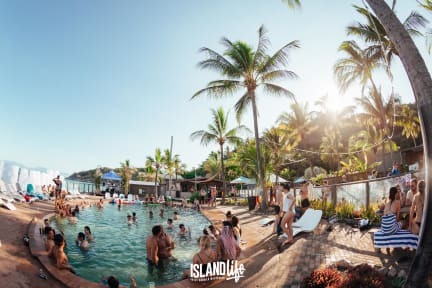 Base Magnetic Island kohteessa Magnetic Island, Australia: Varaa nyt! One of the best hostels I've stayed in Australia. It's right on the beach. There is a bar and some social things going on every night. Rooms were clean and beds were comfy. It's not too far from the center. And the staff was very nice. Great place!